 Trujillo Villas España – Luxury Villa Rentals in Authentic Spain. Step back in time to a dream destination. Trujillo Villas España offers luxurious villa rentals, surrounded by a perfect escape in authentic Spain. Steeped in history, our properties offer a wealth of possibilities to suit all budgets. Choose from the perfect room with a view, a romantic getaway, a garden paradise or a unique historic palacio. Whichever your holiday preference, we look forward to welcoming you to the magical town of Trujillo, your home away from home. Originally a Conquistador’s mansion, this noble hilltop villa stands in walled gardens overlooking spectacular 180 degree views of the countryside towards Portugal and the Gredos mountains. The house is comfortable and unexpectedly grand, combining a wealth of original features with spacious modern living. The Artists Studio has been restored from ruins to create a contemporary and stylish open plan space. The accommodation is divided into two levels by a modern glass and steel staircase. The spacious living area comprises kitchen, second shower room, dining and sitting area, including an eco pellet burner for cosy romantic evenings. Ideal to celebrate a special occasion, Villa Piedras Albas is one of Trujillo’s most unique historic landmarks. Built in 1530, the property has the prime view of Trujillo’s stunning main square from its Florentine arched loggia, which is styled as an al fresco terrace with dining and seating areas.